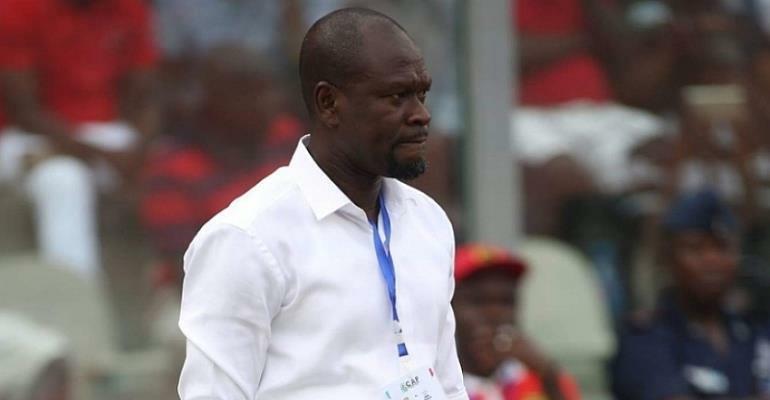 Asante Kotoko coach, Charles Kwablan Akonnor has expressed his disappointment after his defeat in the GFA Normalization Committee Special Competition to Medeama SC. A 34th-minute spot-kick converted by former Kotoko forward, Kwame Boateng helped Medeama to record a 1-0 home victory over Kotoko at the T&A Park on Wednesday. And according to Akonnor, his side struggled during the match due to the absence of some key players and misunderstanding in the team. "Oh yeah...I am disappointed with the result. We came here to win or draw. We struggled during the match," Coach Akonnor told GTV after the match. "We struggled because we played the game without a striker and some key players. There is a bit of misunderstanding on the way we do things [at Kotoko]"
Kotoko will travel to Techiman to battle out with Eleven Wonders FC in the match-day four of the GFA Normalization Committee Special Competition on Sunday.